The site at bypass road 444, east of the modern town of Shoham, was not discovered during surveys of the area and does not appear on the Map of Lod for the Archaeological Survey of Israel. Its remains were exposed only when the area was being prepared for the construction of the road. It is situated on a shoulder of a gentle slope in the western hills of the Shephelah. A salvage excavation was carried out at the site by U. Dahari and U. 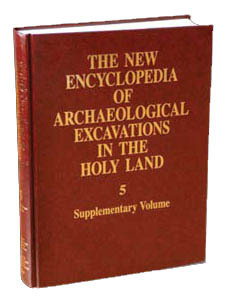 ‘Ad, on behalf of the Israel Antiquities Authority, in 1995–1996. An area measuring 130 m by 75 m was excavated and seven occupational strata were identified.